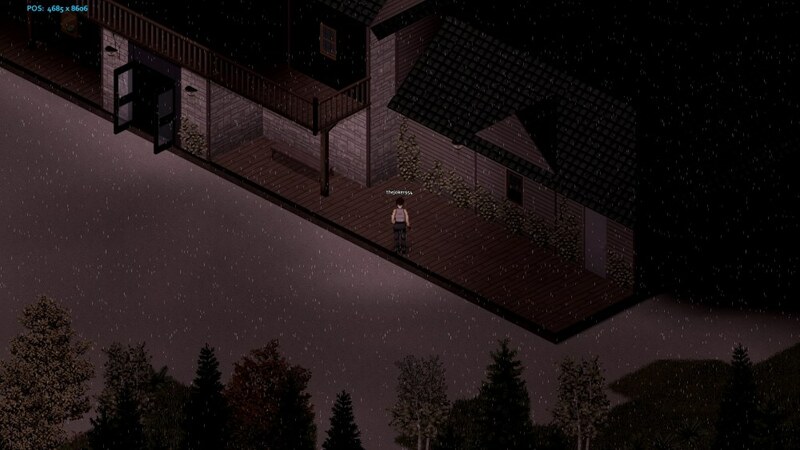 I'm experiencing total freezing of the game whenever it starts to rain or when I enter a specific part of a building. The game keeps playing but the visuals are completely frozen. Reconnecting on my server after the update (Character on 2nd floor house while it's rainning) walking for 2 sec and the graphics freeze, game console is spamming the same message from axeladalidez78. This seem to be an graphic error. The game still running and I see an OpenGL (running a AMD RX580 / Drivers fully updated) error in the console. Turned off 2x texture and compression on. Can manage to move a bit more. The character still move, I can hear footsteps. After some tests, creating a new char resolve the problem in the game, but whenever someone is connected that "onclimatetick" error is spaming the server console. Some great changes, good to see the game coming along! Go to the install directory of the game, then /media/. Delete the /textures/ and /scripts/ folders. We updated/changed the filenames a while ago. Steam just sometimes ignores it. found a way to play this version - i had to turn off all 3d models. so i can play but it looks pants and there are no cars. if i have any 3d models it crashes. on plus side weather looks awesome - just started a winter game - snow is impressive. ha, wish I had seen this sooner - I just figured it out on my own and posted it in a thread in the bugs forum. Poster above me there pointed out if you open the weather debug menu you can disable weather and the crashing should stop as well. Now on to the reason I came to this thread, I went to the far west campground and noticed there are no cars anywhere in that whole area (rest stop and houses included). In addition to that minor issue, At the main camp ground building (see attached pics) a wall on the second floor is missing - you can walk right through where its supposed to be. 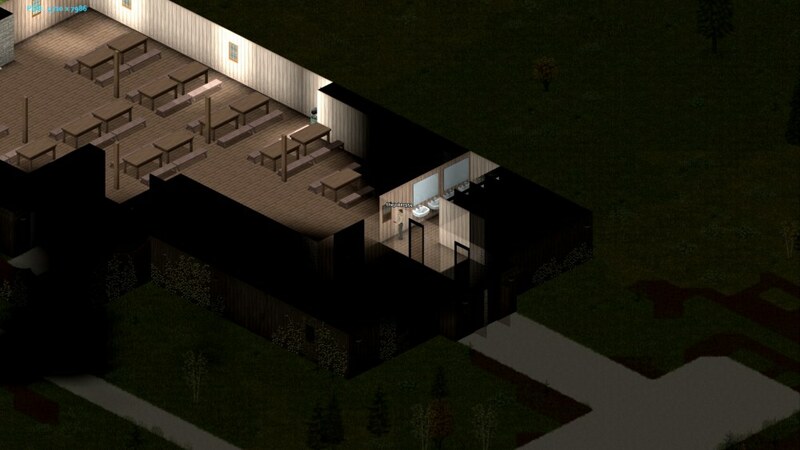 There's also no lights on that second floor for the main room or kitchen. found a couple more oddities in the far west campground. The building at 5010 x 8000 the door is lockable/unlockable from both sides without a key. it also seems weird that the main camp road/s (to the two ranger stations?) are dirt, but I'm assuming that's a design decision to make you have to work for such a sweet setup. Hi! It would be so cool if you could fix some car bugs..
1) Cars don't get any visual (!) damage at all. Cars with broken parts look like new. 2) Lights problem from page 2 of this topic. Sometimes lights are working well, but usually it's weird. Let me say it again.. In some cars when headlights are off, they look bright, like it's ON. They don's illuminate the ground ofc. Or in some cars when you turn the lights on, they stay dark like it's off, but illuminate the ground in front of car. Taillights are always off (visually). So.. I see that problem in the main build and in the IWBUMS.. The game kinda loses its atmosphere with these bugs =( I hope you can do something with that. Using cars in the game, I was surprised by the turns of the road with straight angles (on the map as well). Real roads have intersections and turns with turning radii. Smooth turns of the road will allow to cross the intersections at high speed, and not fly to the roadside while striking at the trees. I think that a heavy car hitting speed at obstacles should not only get damaged, but also destroy obstacles such as: small trees, road lighting poles, light fences (not from wooden logs). VERSION 40.17 IWBUMS BETA RELEASED! This should also fix the problem that people with certain graphics cards were experiencing. If you were crashing out then please give this version a go and let us know if you have any problems. Added climate and weather MP admin panels. Many climate values can be now be ticked to override what's happening on the map. Values set by admin will override any values set by climate system, weather and mods. System also shows current weather information, and gives options to stop it. Rain and snow now look like they hit the ground. Rain then disappears, and snow fades out. Game now displays days fresh and rotten in food tooltips in debug mode. Fixed an exception when a splitscreen player joins during rain. Fixed a bug in SetPlayerLocation() which caused unnecessary work to be done. Fixed being able to display duplicates of some admin panels. Fixed barricades not being removed when a window is destroyed by a sledgehammer. Fixed players with Deaf trait hearing house alarms. Fixed position of speed-controls in debug mode (which forces the clock to be visilble). Added Thunder and RumbleThunder GameSounds so thunderstorm volume can be changed. Fixed player not facing microwave or stove when checking its settings. 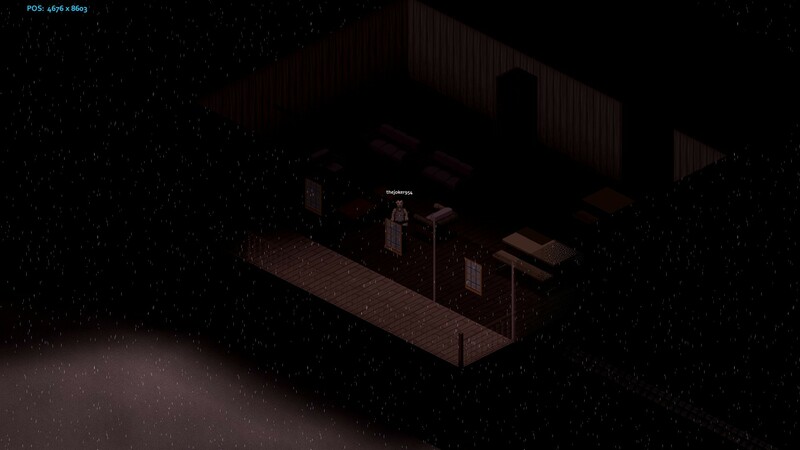 Fixed two bugs with spawning a random zombie in a barricaded bathroom. Fixed clean/disinfect crafting tooltips saying "Destroy" rather than "Use" for bandages/rags. Fixed two exceptions when pressing keys while the game is loading. Fixed speed controls briefly appearing in the wrong position when starting a game. 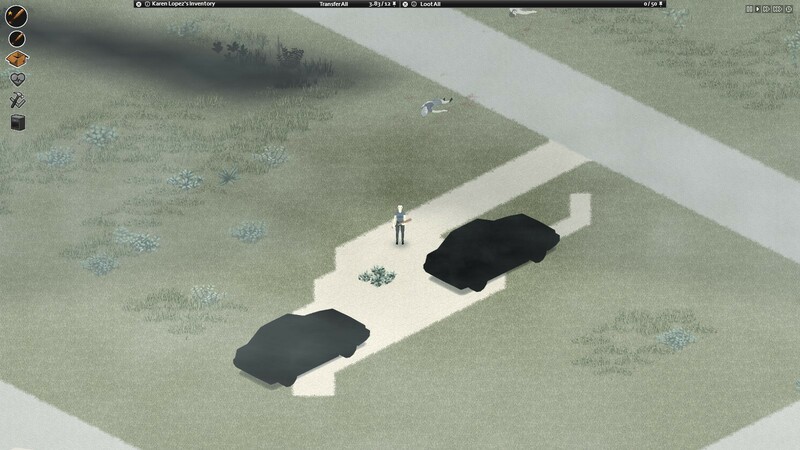 Fixed zombie-population files being saved to the wrong location on Linux and Mac. Fixed not being able to sleep when not tired or recently slept when the server option SleepNeeded is false. Fixed being able to place multi-tile furniture where walls intersect the furniture. Fixed being able to place tents on squares that are blocked by vehicles. Fixed failing to check for trees when building some carpentry objects. Fixed sounds playing at full volume when first loading a game. Now there's a graphic problem with the new corpses. When I kill a Z, its corpse is in a weird square like It was killed somewhere else (different ground). More "Twilight Zone" than Romero. Same here, everything is working nice!! I can move again in my house while it's rainning! yeah i forgot to mention sometimes when a Z is killed the floor tile changes to a random image. that is still there in this version. looks like when some zs are killed they change the floor tile to something else thats in the view - so a roof tile or similar, sometime vegetation. but if you pick up their corpse the tile returns to normal. i think a picture is easier to show - 2 dead z's turned the floor tiles to show roof tiles. IWBUMS beta version 40.18 released! 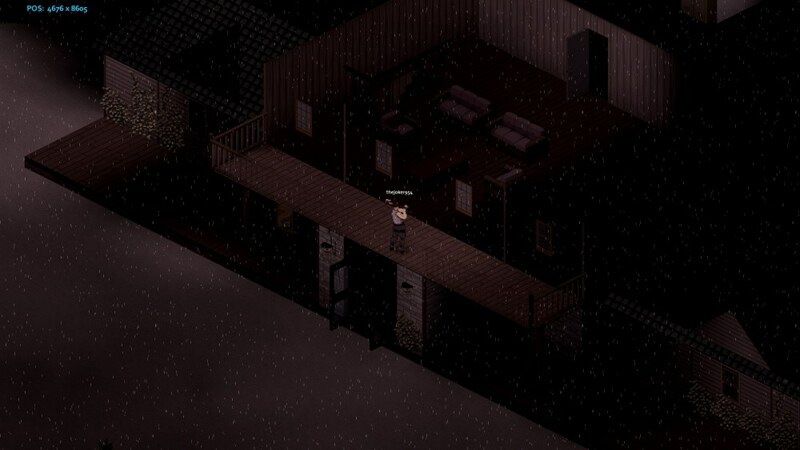 Added new Spiffo survival guide entries about weather. Fixed the lighting color on corpses. Fixed a bug with the screen shader. Fixed an old SpriteRenderer bug, not sure if it hurt anything. Fixed appearance of selected hot/cold items in the inventory/loot windows. Fixed food temperature possibly going above/below container temperature. Fixed some UI layout issues with jumbo fonts. Fixed long strings overlowing comboboxes. Fixed using string.match (string contains) instead of stringStart for the item list. Wait. Is Build 40 on the stable branch?